Prince William Ice Center is the premier spot for skaters. Our coaches, listed below, are all insured professional members of US Figure Skating (USFS). We are proud to offer both Private and Group instruction with these highly qualified coaches. Please call 703-730-8423 and speak with our Skating Director Marina Khaltourina for futher information or email Marina at mkhaltourina@pwice.com. Lessons are arranged individually with the coach. Payments for ice time are due to Prince William Ice Center BEFORE the skater takes the ice for the lesson. Katrina has been skating for over 19 years and is a Gold Medalist in Moves in the Field. She has competed in both USFSA and ISI. She skated for the University of Delaware Collegiate Synchronized Skating year for 4 seasons where she earned 3 Eastern Sectional Synchronized Skating Titles, 2 National Silver Medals, and a Pewter medal. She is a member of PSA and USFSA and is available to teach Moves in the Field, Synchro skills, and Freestyle. Katrina holds a Bachelor’s degree in Exercise Science with a concentration in Exercise Physiology and a minor in Strength & Conditioning from the University of Delaware. Growing up as a competitive figure skater at PWIC, Courtney has over 18 years of skating experience. Among her achievements include Gold Medalist in USFS Moves in the Field and Silver Medalist in USFS Ice Dancing. Off the ice, Courtney is a professional dancer, ACE-certified group fitness instructor, research fellow, and graduate of the College of William and Mary with a degree in Kinesiology and Health Sciences: Premed. She is available to teach on-ice, off-ice, and Pilates classes to skaters—and their parents—of all ages and skill levels. Suzie is originally from Central New York and has loved her time in the beautiful Virginia area. She is an ESOL teacher during the day and has experience teaching all grade levels as a classroom teacher and college instructor. Much of her coaching experience was in New York where she taught group lessons and private lessons to children and adults. Some were successful competitors and others skated for the joy of skating and to pass USFSA skating tests. She competed for many years at Regionals, is an Empire State Games medalist, and Adult National and Adult Sectional medalist. Her training experience includes time spent with Olympic and World coaches at Olympic training centers. Suzie has gold medals in Moves In The Field, Freestyle, Ice Dancing, and Solo Ice Dancing and loves choreographing routines. You can find her in many local community theater musicals and singing on stage with local cover bands. Competitive skater for nineteen years. Competed in singles, pairs and ice dancing. Routinely competed in regional competitions such as Mid-Atlantics, North Atlantics and Easterns. Performed in shows on the east coast with the Ice Theater of New York. Available for all levels and ages. (USFSA, ISI, Freestyle, Ice Dancing, Pairs, Choreography and Moves in the Field). Cheryl has over 20 years of teaching experience and is available to teach all levels of Freestyle and Moves in the Field on both a competitive USFS and recreational ISI basis. Former Regional and Sectional USFS competitor. She is a member of USFS, ISI, and PSA. Cheryl is a USFS Category A certified coach and is PSA rated in both Freestyle and Moves in the Field. Danielle has 15 years of competitive figure skating experience in both freestyle and synchronized skating. She is a member of USFS, PSA, and ISI. Available to teach all ages and levels of Freestyle, Intro to Hockey, Moves in the Field, Choreography, and Off-Ice Training. 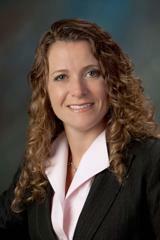 Danielle holds a Bachelor’s Degree in Business Management from James Madison University. 1998 Olympian and 7-time Worlds and International competitor, 18 years of coaching experience. Marina is available to teach all levels and ages on and off the ice; Freestyle, Pairs, Moves In The Field, Synchronized Skating, Choreography and beginner Hockey. Angel is a PSA-rated and Regional level coach with over 15 years of competitive figure skating experience. She specializes in Freestyle, Moves in the field, Off- ice training and Hockey. She has participated in numerous PSA-sanctioned conferences. Angel is a participant in Olympic Coach, Audrey Weisiger’s Grassroots to Champions seminar. She holds a Bachelor’s Degree in Psychology and Early Childhood Education. Half-hour rate available upon request. Heather is a National and International competitor, North Atlantic bronze medalist and U.S Junior national competitor, with 10 years of teaching experience in freestyle, moves in the field, pairs and choreography. Heather available to teach all ages and levels, has experience judging the Special Olympics and working with the Athletes. Danced in several productions with Moscow Ballet. USFSA member. Here’s the lighthearted, fun, and dedicated version of teaching hockey! The focus is on the enjoyment of the player instead of a stern teaching style. I’ve played hockey for 13 years and running, from a family who’ve all played hockey. Especially, a mother who has been coaching for about 20 years for the Potomac Patriots and the previous Prince William Panthers. I’m still working to improve my game and intend to play for George Mason’s club team. I work with kids up to all ages from a beginner to A travel level or B adult league level, I will continue to expand as time goes on. Keep these players motivated! Leticia is a USFS Category B registered Coach and holds PSA registered ratings in Group, Program Director and Synchronized Skating. She has over 20 years experience in competitive skating. History includes a national title and international competition in Synchronized Skating, competition and testing in Freestyle, Ice Dance, and Moves in the Field. She has over 10 years teaching experience and is available to teach Basic Skills, Moves in the Field, Freestyle and Choreography. Leticia holds a BM in Music Business Management and a MA in Nonprofit Arts Management. Lesson rate is available upon request. Kris has been playing organized hockey since early childhood in Eastern Pennsylvania. After taking some time off after high school to serve his country as US Marine for 10 years. Kris has been coaching the past 3 years with the Prince William Hockey Club and Potomac Patriots Junior Hockey program. He has 9-year old who participates in the Learn to Play Hockey program at the Ice Center and is a goalie for the 10U/Squirt team for the Potomac Patriots. 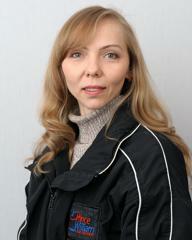 Coach Kris is interested and available to instruct at all levels of skaters and hockey players. Gail has over 20 years of teaching experience and is available to teach all ages and levels of Freestyle, Moves in the Field, and Choreography. Gail has passed the USFS Adult Gold Dance Test, Pre-Gold Dance Test, Intermediate Free Skate and 4th Figure Tests. Former Regional and Sectional USFS competitor from the New England area. She is a certified USFS coach and member of USFS and PSA. Working closely with the skater and family we identify goals that align with their vision of the skating experience – for example, extra practice to support Learn to Skate lessons, power skating skills, and even competition. My focus is on teaching the fundamentals to mastery and then building upon skills to successfully build skating talent. I also take time to explain how a skill is applied in an advanced setting to help the skater understand the technical detail as well as the next steps/growth targets. I use humor and positive feedback to build the relationship with the skater. Second only to the parent, I am my skater’s biggest cheerleader! Coach Jonathan recently moved to Virginia after graduating from college in Upstate NY where he played Division III hockey at SUNY Geneseo. His resume includes State Championships in both New York and Massachusetts, three USA Hockey National Championship appearances, three Select USA Hockey Player Development Camps (Under-15, 16, and 17), New England Prep Hockey Championship Finalist, and a trip to the 2014 NCAA D-III Hockey Final Four. Coach Jonathan is interested in instructing all levels of skaters and hockey players. If you are interested in an off-ice strength and conditioning program, Coach is also a Certified Personal Trainer. Connie is a USFS Gold Medalist in Figures, Freestyle and Dance and a Canadian Gold Medalist in Freestyle and Dance. She has over 30 years experience in teaching all ages and levels. 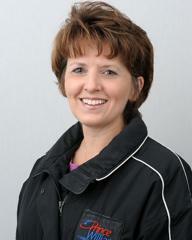 Connie has coached skaters through Regional and Sectional competitions. She is a member of USFS and PSA, and is available to teach all ages and levels (USFS, Ice Dance, Freestyle, Moves in the Field). Coach Zeigler works with multiple cooperating programs in D.C. area all year round. In addition to his position of Head Coach and GM of the Potomac Patriots, Coach Zeigler leads two to three Washington All Star's teams, serves as Director of Hockey Operations for the Atlantic Storm, and is the Executive Director of Coaching and Player Development for the Prince William Panthers. These duties with various hockey associations are performed hand in hand with his full time position as Hockey Director for the brand new Prince William Ice Center.